The rumble of Turkish jets taking off from the Kurdish city of Diyarbakir has become a banal muzak for the city’s wearied residents. Numbers are dialed, warnings are given and life proceeds — under the heavy presence of Turkish troops. The fabled Qandil mountains in Iraq have become a mythologized home to the Kurdish Workers Party, or PKK — a Marxist guerilla group listed as a terrorist organization by Turkey, the European Union and the United States. For years Turkey has been pummeling guerilla bases in the mountain, but early in the morning on April 18, 2017, the army of Recep Tayyip Erdogan took aim at new targets. This time, the jets screeching out of Diyarbakir pushed toward Rojava, the Kurdish enclave in Syria on the Turkish border. “We didn’t know anything about this,” a U.S. soldier said baffled as he surveyed the damage to the YPG media tower in Karakoc, a base frequently used by fighters crossing between Syria and Iraq. But the Americans aren’t always outwardly friendly with the YPG. At the same time, the United States is quick to distance the Syrian YPG from its fraternal organization the PKK in a strange piece of political green-screening that has incensed U.S. ally Turkey, which claims the PKK and YPG have the same goals and follow the same leader, Abdullah Ocalan. Turkey has the second-biggest army in NATO and has provided European countries with a buffer to the tide of migration flowing from Syria’s decimated cities. It’s an important player in the region and according to some critics has been emboldened by its new position as a counter to Iran’s influence in the Middle East cheered on by U.S. president Donald Trump’s inner circle. One thing is certain, Erdogan has no problem exercising his power in the region, much to the bewilderment of American soldiers who stood in the wreckage of Karakoc. The jets that rumbled to Syria from Diyarbakir also hit Iraq attacking PKK positions in Mount Sinjar where a bitter dispute between Peshmerga troops loyal to Pres. 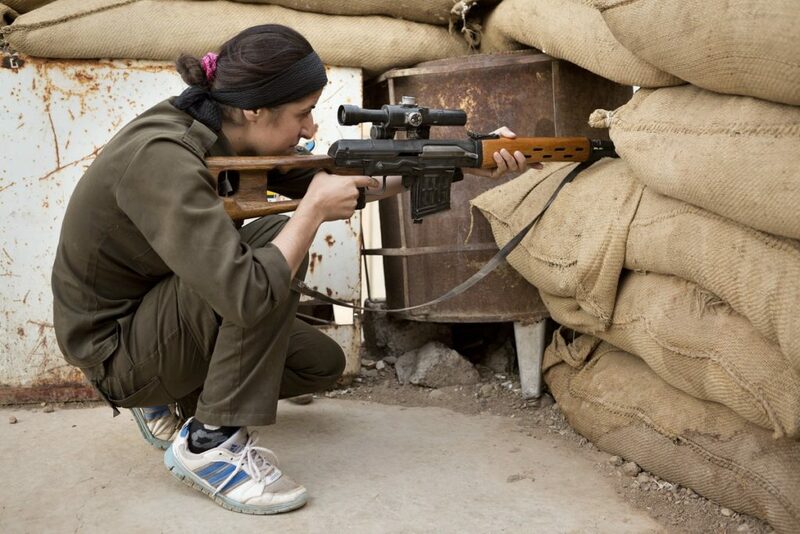 Masoud Barazani and PKK fighters turned violent earlier this year leading to several deaths including those of Yazidi civilians and Kurdish journalists. Barazani, who has a warm relationship with Erdogan, lost five Peshmerga soldiers in the airstrikes. Turkish officials claim Peshmerga were not the intended target and Peshmerga officials blamed the deaths of the soldiers on PKK, which they insist must leave Sinjar. The spat over Sinjar has opened a raw wound, and has echoes of the Kurdish civil war that lead to the deaths of thousands in the mid-1990s and split the country into those loyal to president Barzani and those loyal to pro-Iran and pro-PKK Jalal Talabani. Back in Syria these airstrikes have opened a new threat to YPG ground troops pushing forward into Raqqa supported by Turkey’s NATO ally the United States. Whether this will slow down the offensive is unknown but the U.S. military’s bewilderment at the events of April 18 reveal a coalition forced into an already compromised position. 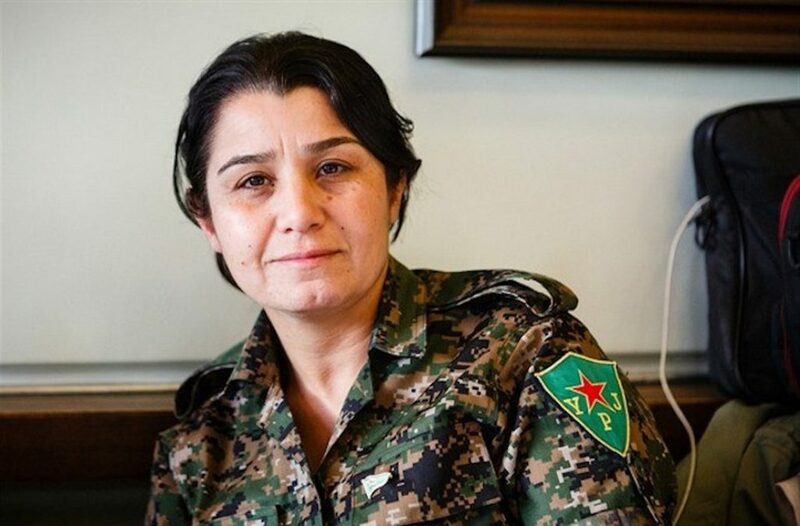 Spokeswoman Nesrin Abdullah from the YPG’s sister organization, the YPJ, said the Kurds could back out of the Raqqa operation where they are proving to be the most successful ground force in the fight against ISIS as part of the Syrian Defense Forces. “We are not anyone’s stick to beat their enemies with,” Abdullah said. The strikes will also result in a slow-down of Kurdish fighters coming from Turkey and Iraq into Syria. In March 2016, Iraqi Kurdistan closed the border with Syria under political pressure from Turkey. Despite this, a steady stream of fighters continued to travel through the mountains from Sulimaniyah — controlled by Talabani — into Syria. The PKK, which facilitates the movement of fighters from the Iraqi side, is now engaged on multiple fronts with both the pro-Barzani KDP Peshmerga and Turkey, leaving many foreign and local fighters hauled up in Iraqi hotels with no way into Syria. While the United States might be determined to draw the lines between the PKK and YPG, it’s no secret that the groups share the mountain routes between them. Efforts to separate the Kurdish movements in Syria and Turkey have failed. And Turkey’s mission to cleanse the region of the PKK will directly interfere with U.S. plans to use Kurdish ground troops to siege Raqqa, the prize jewel in the fight against ISIS. Back in Diyarbakir, Hasan, who continues to phone in the rumble of jets, is now part of a movement calling for a no-fly zone over the Kurdish enclave.